Finally, the day has come! 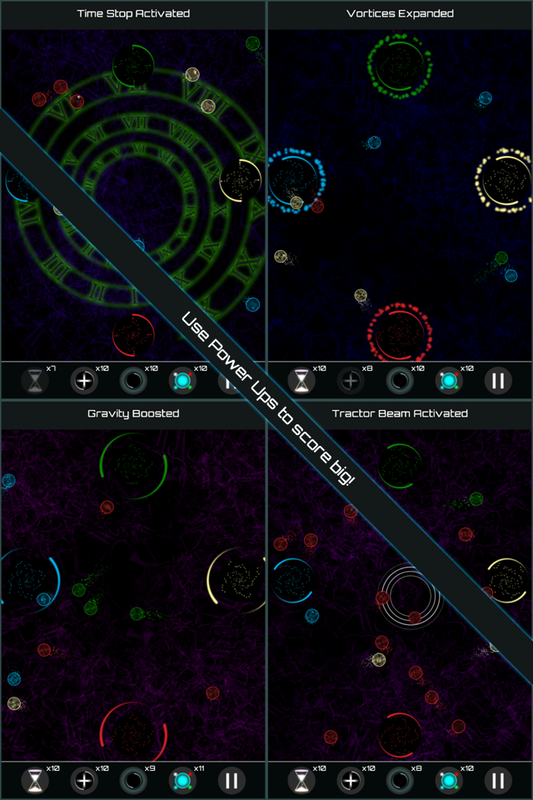 Gravitone is now available on Google Play! I apologize for all of the delays. I’ve been wrapped up in a number of client projects over the past few months and just haven’t had the time to finalize Gravitone. After a short vacation I found some time to finish it up and I’m pretty happy with the gameplay. Gravitone is an endless arcade style game that reacts to the music and has a simple goal: Push all of the orbs into the vortex that matches their color. However, things aren’t that easy! The vortexes are shrinking and the orbs are not cooperative. 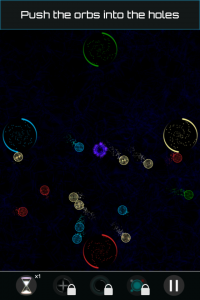 Blue orbs are slow, white orbs are not, red orbs repel from their vortex, and green orbs spin. 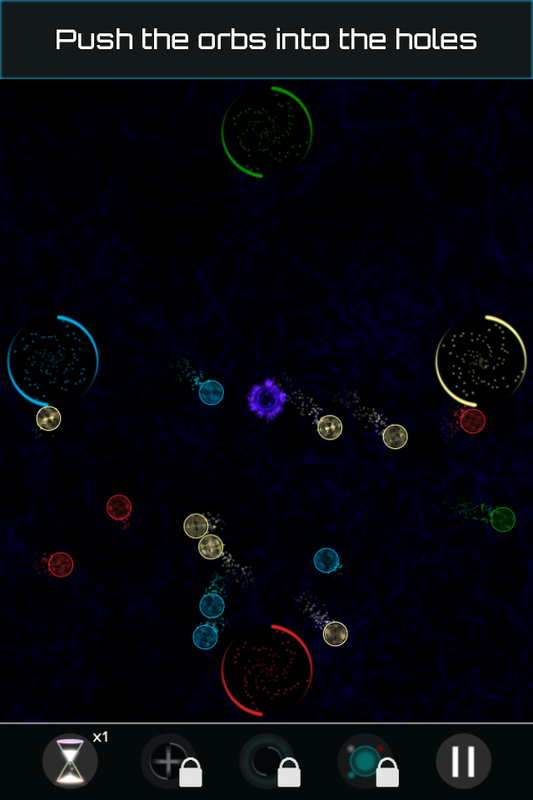 As soon as you get all of the orbs into their vortexes a whole bunch more pop out! Watch out for the Replicator that makes the orbs multiply. To help you groove your way to the top of the charts there are Time Stops, Vortex Expanders, Gravity Boosters, and Tractor Beams. 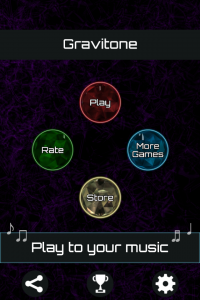 The orbs and vortexes groove to tunes that you can select from your own music library. Perhaps the most challenging part of this game was the player input (mobile input is hard!). I wanted it to feel like the orbs are alive and struggling against your finger, but not frustratingly difficult to push them around. After a ton of fine tuning I finally found a happy medium and I think it feels pretty good. One of my goals with this game was to utilize Unity physics in a unique and abstract way that I’d never seen before while keeping the gameplay as simple as possible for mobile devices. All you have to do is push the orbs around with your fingers and tap on the powerup bar when you want to activate a powerup. It feels quite intuitive and is quick to learn. Since the gameplay is typically pretty short (less than a couple of minutes). I wanted to give our players lots of reasons to come back. The game has leaderboards in Google Play and Facebook to encourage competitiveness and it also has a bunch of meaningful achievements. 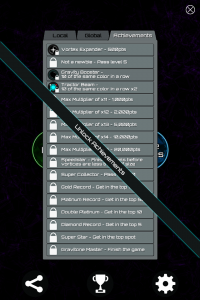 Almost all of our achievements are tied to unlocking a feature of the game. 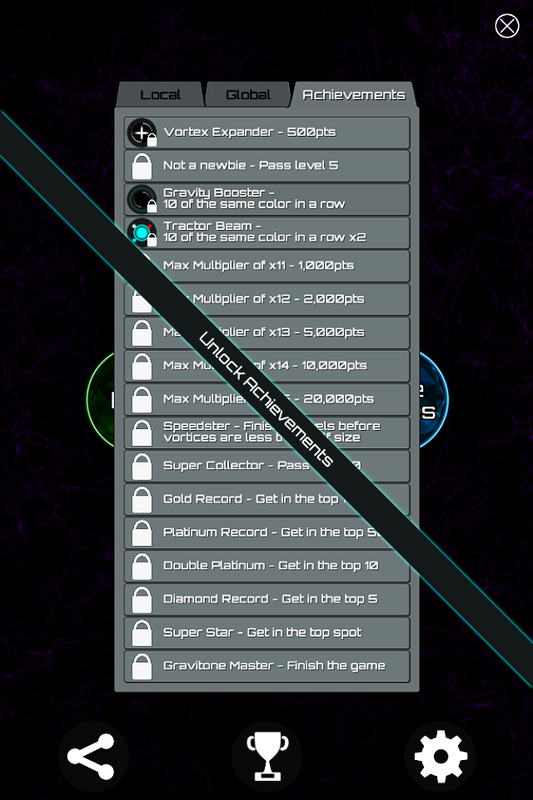 For example, if you get a score of over 500 you’ll unlock the Vortex Expanders. I also provide the opportunity to unlock these by using coins you have collected by playing the game, watching video ads, or purchasing them directly from In App Purchases. 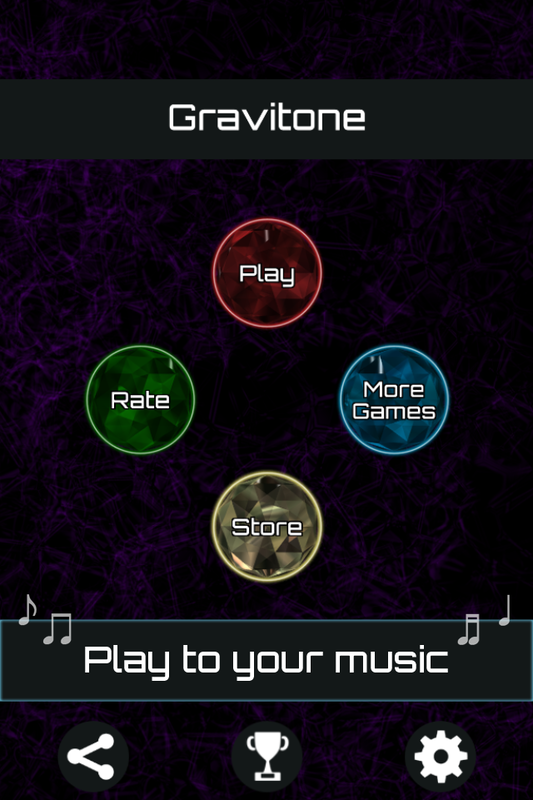 Next I have a bit of work to do before I can release it on iOS. Apple’s push to have developers submit apps with 64-bit support means that we have a bit of work to do in updating the SDKs used in the game. I also need to write a plugin that will provide access to the music library on iOS and I’m not particularly looking forward to writing an Obj-C plugin. 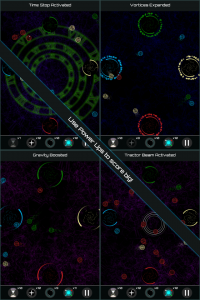 At any rate, I hope that Gravitone is fun to play and that you find it is a unique gameplay experience. I had a lot of fun making it and I’ve learned a lot in the process. PS – Sudoku In Space t-shirts are now available! Check it out on Amazon!